We are called to a life of holiness. But, as any Christian can attest, the transformation from sinner to saint is rarely drastic or immediate. More often, it is a gradual process, found in the daily interactions of a spiritually-nourished heart. 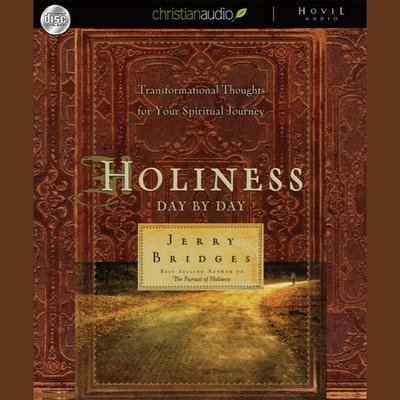 In Holiness: Day by Day, Jerry Bridges offers that nourishment in the form of concise daily devotionals. With conversational style and God-centered focus, Bridges provides practical, encouraging insight, pointing us towards the One who, alone, is holy.